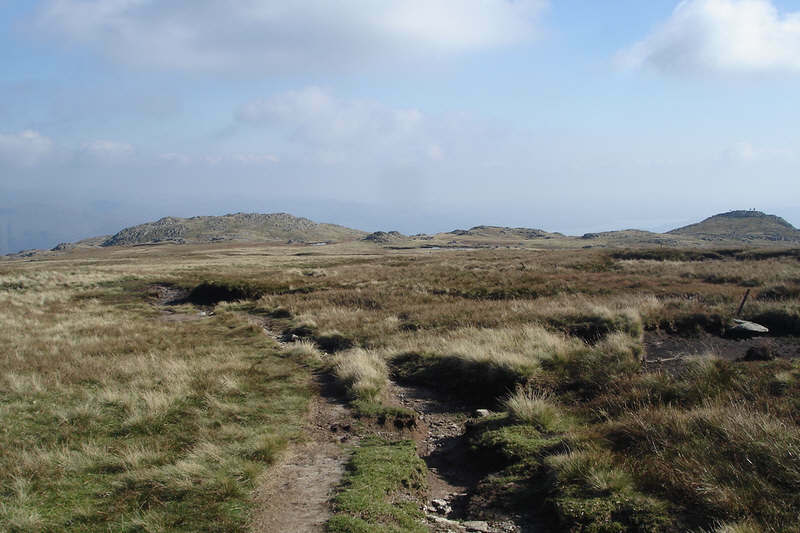 This picture shows the top of Sergeant Man (right) and Codale Head (left), seen from the summit plateau of High Raise. Just visible are a number of people on top of Sergeant Man. The path across High Raise heads towards the rocky ground in the centre of the picture, before turning towards the viewpoint of Sergeant Man.